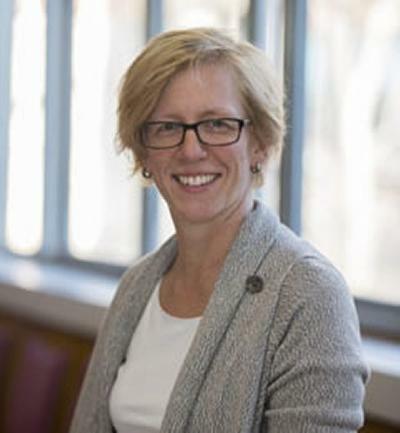 Professor Gabriele B. Durrant is Professor of Social Statistics and Survey Methodology in the Department of Social Statistics and Demography at the University of Southampton. She is Deputy Director of the ESRC National Centre for Research Methods (NCRM), Director of NCRM Training and the lead researcher of the NCRM workpackage 1. She is also Co-Investigator of the Administrative Data Research Centre for England (ADRCE), including lead investigator of the ADRCE Training Programme. She is currently Principle Investigator of a 4-year ESRC research project on paradata. Previously, she was the Director of CASS (Courses in Applied Social Surveys) (until 2014). She joined the Southampton Statistical Sciences Research Institute as a lecturer in October 2005 and was made Senior Lecturer in 2010 and Reader in 2012. She previously worked as a senior research fellow at the ESRC National Centre for Research Methods (2004–2005) after completing her PhD in 2004. She has extensive research interests in the areas of paradata, interviewer effects, nonresponse in sample surveys, measurement error, and statistical modelling in the social sciences, in particular multilevel modelling. More recently she also developed an interest on using linked datasources, particularly in the area of energy use and environmental attitudes. She holds an MSc Mathematics and Geography from the University of Bonn, Germany. 3.5-year ESRC Research Grant (£404K; Principal Investigator, co-applicants: Prof P.W. Smith and Prof F. Kreuter.) Title: The Use of Paradata (Field Process Data) in Cross-Sectional and Longitudinal Surveys, RES-062-23-2997, Sept 2011 – Aug 2015. 3.5-year ESRC Research Grant (£568K; Principal Investigator, co-applicants: Prof C. Skinner, Prof J. Micklewright and Dr Fiona Steele), Title: Hierarchical Analysis of Unit Non-Response in Sample Surveys, RES-062-23-0458, Sept 2007 – Feb 2011. 3-year ESRC Research Grant (353K; co-applicant with Prof J. Bynner (PI), Prof H. Goldstein, Prof P. Lynn, Prof C. Skinner, Prof I. Plewis and NatCen), Title: Solving the Problem of Attrition in Longitudinal Surveys’, RES-175-25-0011, Sept 2007 – Aug 2010. 1-year research grant, funded by the Office for National Statistics, (45K; Principal Investigator), Title: Analysis of Nonresponse in Household Surveys using the UK Survey Nonresponse Census Link Study, Aug 2005-Aug 2006. 3-year ESRC and ONS research project, Title: Estimation of Pay Distributions in the Presence of Missing Data and Measurement Error (2000-2003). The project was funded by the ESRC, grant number R422200034286, and the Office for National Statistics. Gabriele currently supervises PhD students working on topics related to nonresponse, multilevel modelling, interviewer effects, use of paradata in cross-sectional and longitudinal surveys. Kibuchi, E., Sturgis, P., Durrant, G., & Maslovskaya, O. (Accepted/In press). Do interviewers moderate the effect of monetary incentives on response rates in household interview surveys? Journal of Survey Statistics and Methodology. Durrant, G. B., D'Arrigo, J., & Steele, F. (2013). Analysing interviewer call record data by using a multilevel discrete-time event history modelling approach. Journal of the Royal Statistical Society: Series A (Statistics in Society), 176(1), 251-269. Sinibaldi, J., Durrant, G. B., & Kreuter, F. (2013). Evaluating the measurement error of interviewer observed paradata. Public Opinion Quarterly, 77(S1), 173-193. Durrant, G. B. (2006). Missing data methods in official statistics in the UK: some recent developments. Journal of the German Statistical Society. Durrant, G., & Maslovskaya, O. (2017). Using quantitative paradata to improve the data quality in social surveys. In R. Edwards, J. Goodwin, H. O'Connor, & A. Phoenix (Eds. ), Working With Paradata, Marginalia and Fieldnotes: The Centrality of By-Products of Social Research Edward Elgar Publishing, GB: Edward Elgar. Durrant, G. B., D'Arrigo, J., & Mueller, G. (2013). Modeling call record data: examples from cross-sectional and longitudinal surveys. In F. Kreuter (Ed. ), Improving Surveys with Paradata: Analytic Uses of Process Information (pp. 287-316). Chichester, GB: John Wiley. Lundquist, P., & Durrant, G. (2015). A test of an adaptive survey design: response propensities using length of call sequence in the Swedish Labour Force Survey (LFS). Paper presented at International Research Workshop on Bayesian Adaptive Survey Designs, Sweden. Durrant, G. (2015). Assessing nonresponse bias during fieldwork. Methodological Seminar Series, Germany. Johansson, A., Lundquist, P., Westling, S., & Durrant, G. (2015). Modelling length and final response outcome of call sequences in the Swedish Labour Force Survey. Paper presented at 4th International Workshop on Adaptive and Responsive Survey Designs, United Kingdom. Durrant, G. (2015). Using call record data for adaptive and responsive survey designs. Workshop of the International Leverhulme Trust Network "Bayesian Adaptive Survey Design Network", United States. Blom, A., & Durrant, G. B. (2014). Correlates of attrition in the German internet panel: drop-outs and sleepers. Paper presented at AAPOR2014: American Association for Public Opinion Research, United States. Durrant, G. B., & Schnepf, S. V. (2013). Non-response modeling in a multi-stage survey of school children (PISA). International Workshop on Advances in Adaptive and Responsive Survey Design, Netherlands. Sinibaldi, J., Durrant, G. B., & Kreuter, F. (2012). Evaluating the measurement error of interviewer observed paradata. Paper presented at Q2012: European Conference on Quality in Official Statistics, Greece. Barbosa, D., Durrant, G. B., & Skinner, C. (2012). Evaluation of interviewer effects on nonresponse bias. Paper presented at Joint Statistical Meeting, Section on Survey Research Methods, United States. Durrant, G. B., Kreuter, F., & Mueller, G. (2012). Improving process efficiency in panel surveys with paradata. 5th ESRC/NCRM Research Methods Festival, United Kingdom. D'Arrigo, J., Durrant, G. B., & Steele, F. (2011). Analyzing interviewer call record data using a multilevel multinomial modeling approach to understand the process leading to cooperation or refusal. Joint Statistical Meeting, American Statistical Association, United States. Sinibaldi, J., Durrant, G. B., & Kreuter, F. (2011). Evaluating the measurement error of interviewer observed paradata. Paper presented at S3RI Methodology seminar series, United Kingdom. Durrant, G. B., & D'Arrigo, J. (2011). Interviewer effects on the process leading to cooperation or refusal using interviewer call record data. 58th Conference of the International Statistical Institute, Ireland. Durrant, G. B. (2011). Modelling call record data using multilevel modelling: examples from cross-sectional and longitudinal surveys. International Workshop on Paradata, Germany. Durrant, G. B., D'Arrigo, J., & Steele, F. (2011). Using Call Record to Analyze the Process Leading to Cooperation or Refusal: Experience from Six Household Surveys. Paper presented at 8th International Workshop on Comparative Survey Design and Implementation, United Kingdom. Durrant, G. B., Staetsky, L., & Steele, F. (2008). An exploration of the role of interviewers on survey nonresponse using a multilevel modelling approach. Paper presented at 3rd ESRC Research Methods Festival, . Durrant, G. B. (2008). An investigation of interviewer effects on household nonresponse in six UK government surveys. Paper presented at 7th International Conference on Social Science Methodology (ISA-RC33), . Durrant, G., Staetsky, L., & Steele, F. (2008). The effects of interviewer characteristics and attitudes on refusal in face-to-face surveys. Paper presented at 19th International Workshop on Household Survey Nonresponse, . Durrant, G. B. (2007). Using multilevel multinomial models to analyse household and interviewer effects in survey nonresponse. p.30. Paper presented at 18th International Workshop on Household Survey Nonresponse, . Durrant, G. B. (1970). Linking census, interviewer observation data and interviewer information to surveys: an investigation of unit nonresponse in UK surveys. Paper presented at 56th Session of the International Statistical Institute, . Durrant, G. B. (2005). Correcting for measurement error using missing data methods: an example from the UK Labour Force Survey. (Guide to the Labour Force Survey). Ottawa, Canada: Statistics Canada. Beissel-Durrant, G., & Lang, I. (2004). ESRC National Centre for Research Methods. Consultation Exercise Report. (ESRC Working Paper Series). Southampton, UK: University of Southampton. Luff, R., & Durrant, G. (2018). Assessing the impact of NCRM's training and capacity building activities 2014 - 2016. D'Arrigo, J., Durrant, G. B., & Steele, F. (2011). Analysing the process leading to cooperation or refusal using call record data: A multilevel multinomial modelling approach. (S3RI Methodology Working Papers; No. M11/03). Southampton, GB: Southampton Statistical Sciences Research Institute, University of Southampton. Durrant, G. B., & Goldstein, H. (2010). Analysing the probability of attrition in a longitudinal survey. (S3RI Methodology Working Papers; No. M10/08). Southampton, GB: Southampton Statistical Sciences Research Institute, University of Southampton. Steele, F., & Durrant, G. (2009). Alternative approaches to nonresponse modelling. Economic and Social Research Council. Durrant, G. B., Goldstein, H., & Staetsky, L. (2009). Analysis of attrition in the family and children survey (FACS). Durrant, G. B., Groves, R. M., Staetsky, L., & Steele, F. (2009). Effects of interviewer attitudes and behaviors on refusal in household surveys. (S3RI Methodology Working Papers; No. M09/05). Southampton, UK: Southampton Statistical Sciences Research Institute. D'Arrigo, J., Durrant, G. B., & Steele, F. (2009). Using field process data to predict best times of contact conditioning on household and interviewer influences. D’Arrigo, J., Durrant, G. B., & Steele, F. (2009). Using paradata to develop hierarchical response propensity models. Economic and Social Research Council. Durrant, G. B., & Steele, F. (2007). Multilevel modelling of refusal and noncontact nonresponse in household surveys: evidence from six UK government surveys. (S3RI Methodology Working Papers; No. M07/11). Southampton, GB: University of Southampton. Durrant, G. B. (2005). Imputation methods in the social sciences: a methodological review. (NCRM Working Paper Series; No. NCRM-002). NCRM. Beissel-Durrant, G. (2004). A typology of research methods within the Social Sciences. (NCRM Working Paper). Southampton, UK: University of Southampton. Beissel-Durrant, G. (2002). Variance estimation for estimates of a pay distribution based on imputed survey data. (Working Papers). Southampton, GB: University of Southampton. I am interested in supervising PhD students in any area of my research interests including nonresponse, paradata, interviewer effects, multilevel modelling, administrative data, energy data, environmental behaviour and attitudes. If you are interested please email me. Gabriele is the Director of Training of the National Centre for Research Methods (since 2014) and is taking the lead on the training programme of the Administrative Data Research Centre for England (since 2013). She was the training coordinator of the CASS short course programme (Courses in Applied Social Surveys) (2005-2014) and Director of CASS (2013-2014). Gabriele has extensive experience of teaching courses in survey data analysis at postgraduate and professional level, including courses as part of the MSc in Official Statistics, CASS and the National Centre for Research Methods. Further topics have included short courses on nonresponse, multilevel modelling and use of paradata.